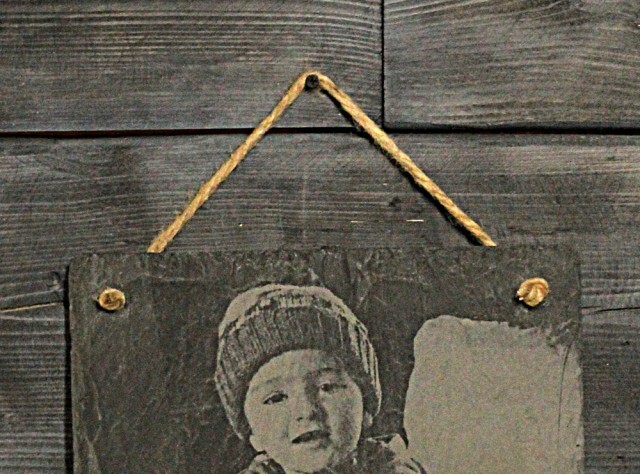 A solid piece of Welsh Riven Slate personally engraved with your own high resolution image, to capture any memory in a very unique way that will last forever.This Photograph Engraving can come with a solid slate rear plinth which enables it to be free standing or you can choose to have it rope hung. 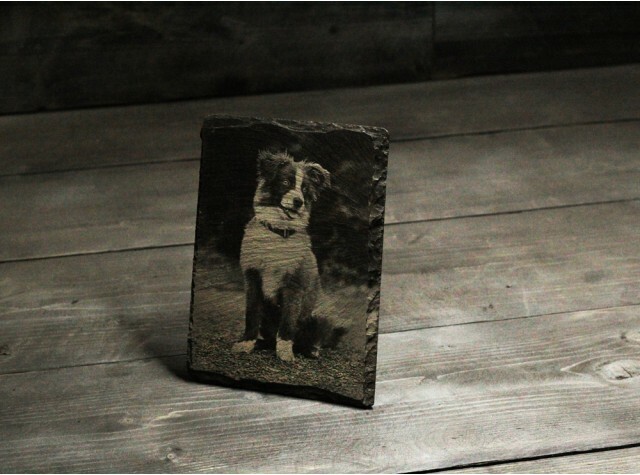 A solid piece of Welsh Riven Slate personally engraved with your own high resolution image, to capture any memory in a very unique way that will last forever. This Photograph Engraving can come with a solid slate rear plinth which enables it to be free standing or you can choose to have it rope hung. 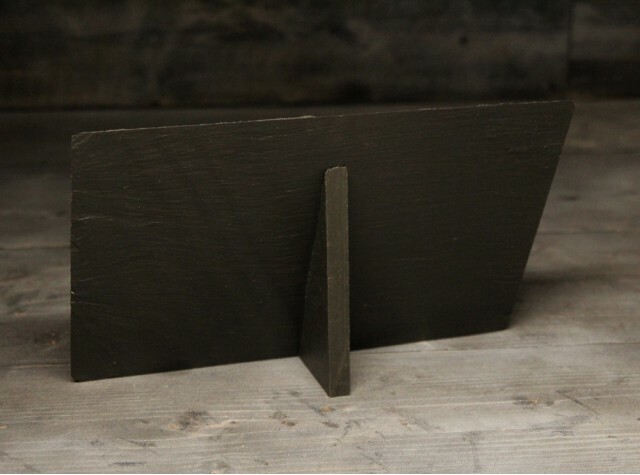 500 million year old Welsh slate from Blaenau Ffestiniog, with a Welsh slate plinth or jute rope. Avoid direct sunlight for long durations. Avoid contact with cleaning products and oily substances as these may affect the engraving.